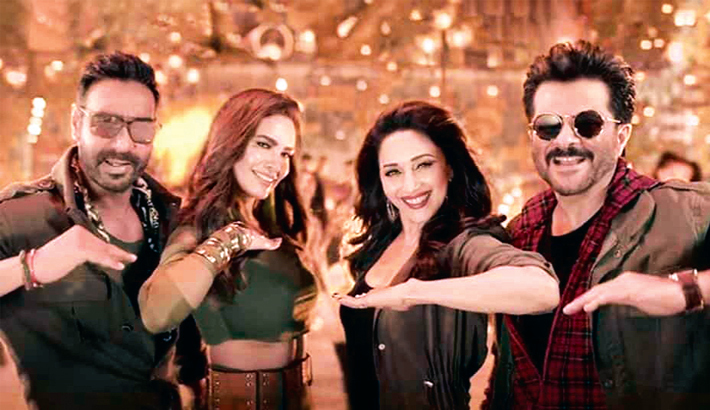 Total Dhamaal starring Anil Kapoor, Madhuri Dixit, Ajay Devgn, Arshad Warsi, Jaaved Jaaferi and many others recorded an impressive opening at the box office, reports Hindustan Times. Total Dhamaal is the third instalment in the hit Dhamaal series. Directed by Indra Kumar, the film brings back the superhit pairing of Anil and Madhuri after 19 years. The extended star cast of the film include Riteish Deshmukh, Jaaved Jaaferi, Johnny Lever, Boman Irani and Sanjai Mishra. The film had also landed in a controversy as the recreated song Mungda featuring Sonakshi Sinha did not go down well with the makers of the original Helen number. Lata Mangeshkar too had strongly objected to the remixed version of an old hit.